A Analia de São Paulo, esteve por aqui em fevereiro de 2017 com seus filhos e deixou este depoimento pra nós no Trip Advisor. Obrigada Analia! 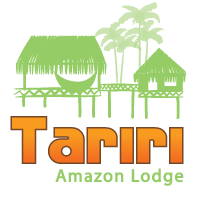 “Tariri Lodge is a paradise in the Amazon forest. We highly recommend it for families with kids. The lodge is well integrated with the environment. We felt at home with the hospitality of the owner and his family. The cabin was rustic but very clean and functional with private bathroom. There is no air conditioning but the fan was enough to have a comfortable sleep at night. 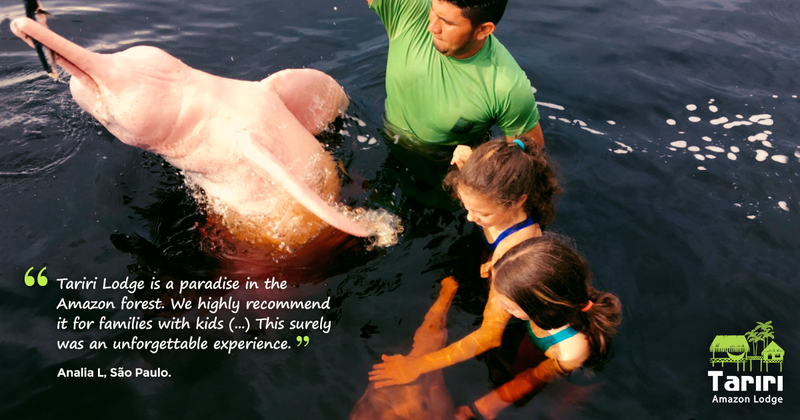 Tours where very educational and adventurous, visiting an Indian tribe, learning their customs, petting the pink dolphins, piranha fishing, jungle walking and night exploration. Monkeys, araras, parrots, tucanos interact with tourists when around the lodge, our daughters were amazed to hold the monkeys and play with them in their natural habitat.